The Loose Ring Snaffle Bit is a common mouthpiece with one join in the centre of the bit. 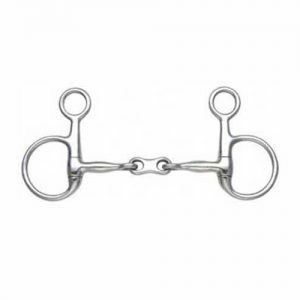 It applies pressure to the tongue, lips and bars of the horse's mouth and creates a nutcracker effect however due to the loose rings allowance of movement, the bit is allowed to lay in the most natural position in the horse's mouth. 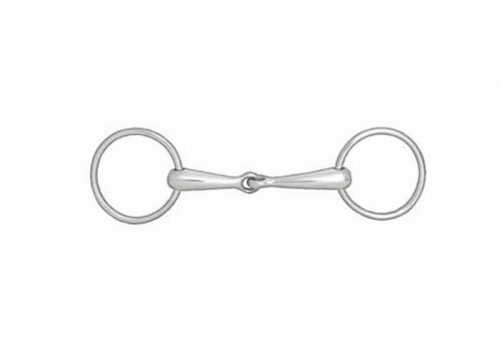 The freely rotating rings allow the mouthpiece to move with any tongue and jaw movements resulting in an increase in freedom. 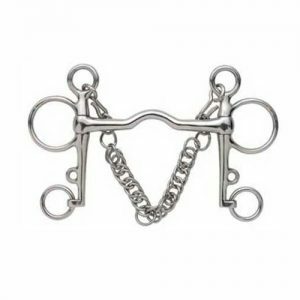 Loose ring snaffles may cause pinching of the corners of the horse’s mouth which can be remedied with bit guards. 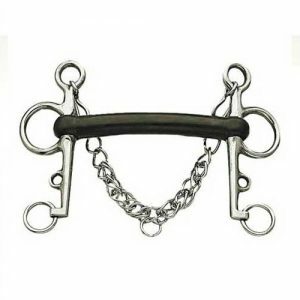 Bit guards can also help prevent the bit from being pulled through the horse’s mouth when applying side pressure on the reins. 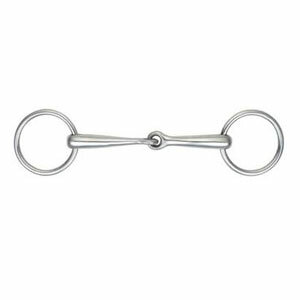 Loose Ring Snaffles are popular when starting out young horses as this is a mild bit and is available in solid and hollow mouth pieces.